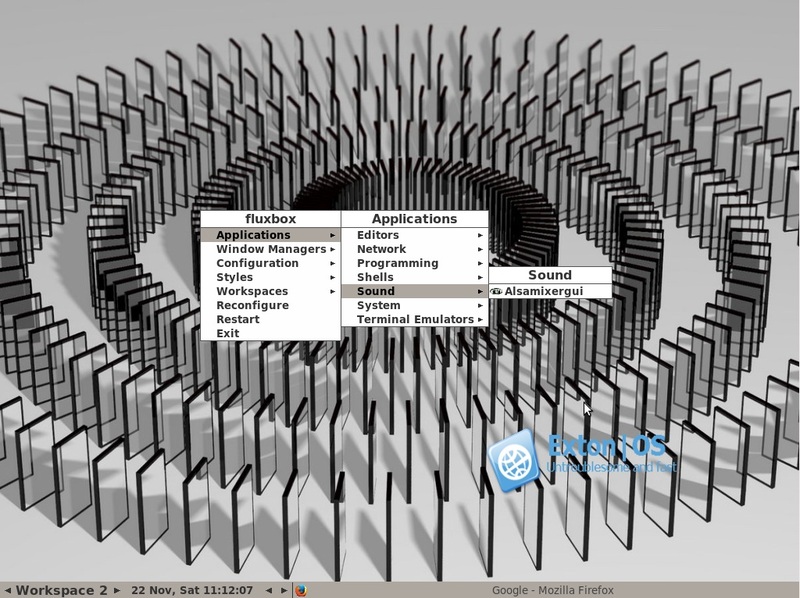 Exton|OS Kiosk (ISO file of 344 MB!) build 141122 is based on Ubuntu 14.10 64 bit (released October 23, 2014) and Debian Jessie. Exton|OS’s ISO file is a ISO-hybrid, which means that it can very easily be transferred (copied) to a USB pen drive. You can install and run Exton|OS from a USB stick and save all your system changes on the stick. I.e. you can enjoy persistence! Exton|OS Kiosk can not be installed to hard drive. 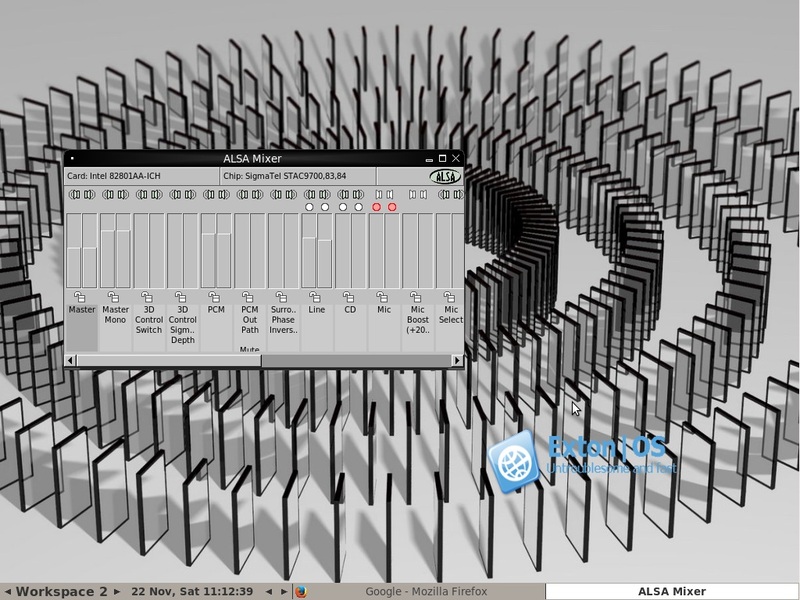 Only Firefox (The Best Web Browser), LXTerminal, Leafpad (Editor), Nano (Editor), Alsamixergui (to enable sound) and Wicd (Network Manager) are preinstalled. After logging in to Fluxbox Firefox will start immediately. If you close Firefox you will also leave Fluxbox (X). Exton|OS Kiosk can be used as Internet Kiosk or other publicly available Web terminal in schools, libraries, cafes, hotels, offices, tourist centers and a like. Another possibility is to use Exton|OS Kiosk for displaying information, advertisements, pictures or streaming videos to digital signage deployments. Be sure to change root’s password before such use of the system. It is done (as root) with the command passwd root. After booting up Exton|OS Kiosk from CD or USB pen drive you will end up in console mode. 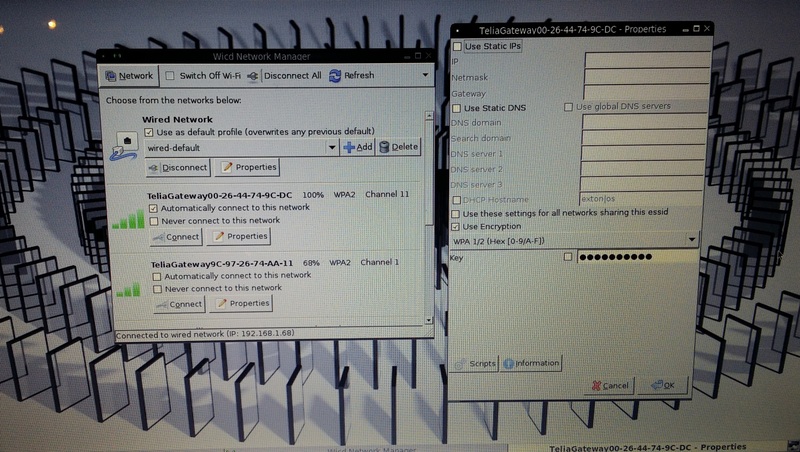 Log in as the normal user live with password live or as root with password root$$8. Then run startx to enter X/Fluxbox. To reboot or poweroff the computer you’ll have to be root. Read my INSTRUCTION. 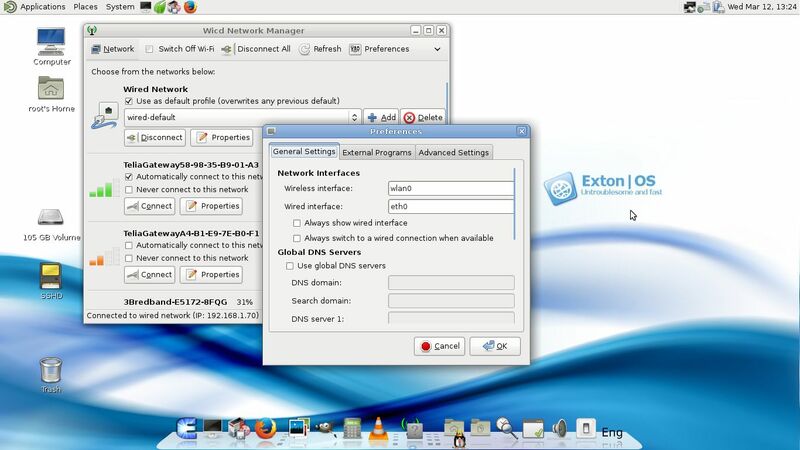 It is for Exton|OS Light, but also valid for Exton|OS Kiosk. Another great thing is that Exton|OS Kiosk can run from RAM. Use Boot alternative 3 (Copy to RAM). When the system has booted up you can remove the disc (CD) or USB stick. You’ll need at least 1 GB RAM to run Exton|OS Kiosk that way. I.e. superfast! You can install any other packages you need with apt-get (as root). You can also (of course) install Synapic Package Manager. This can be done while runnning Exton|OS Kiosk live. (From CD or USB stick). If you run from a USB stick with persistence your changes will be saved on the stick. Otherwise they are (of course) gone after a reboot. This version of Exton|OS doesn’t exist anymore. It wasn’t very popular (for some reason).